And most of us are no longer satisfied with just one or two indoor plants – rather, people are starting impressive indoor urban jungles where many plants are clustered together. The trick to great indoor plant styling is to not only mix up the types of plants you use but how you display them as well. 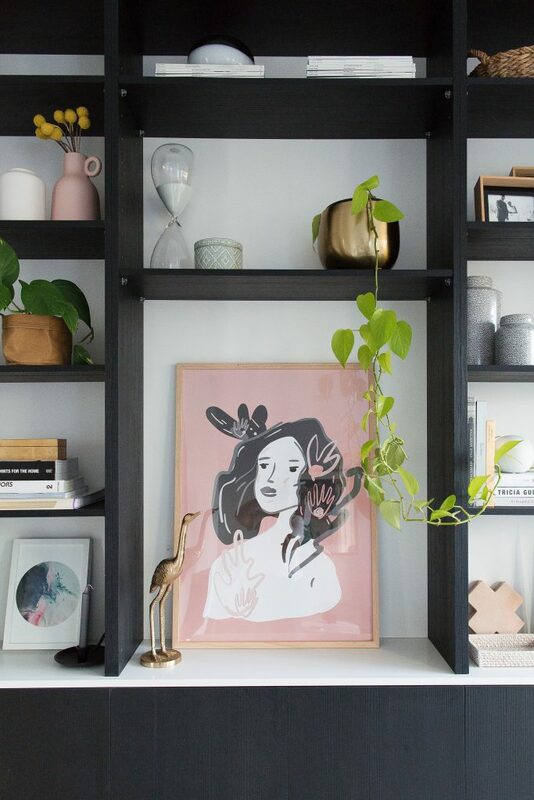 There’s no shortage of ways you can do this but we’re going to share our favourite 7 ways to display indoor plants. From matte finish to glazed, in a solid colour or pattern, there’s a huge choice of ceramic pots on the market today. For a more organic shape, we love the look of placing your plant in a washable paper bag like this one from Freedom. Available in small, medium and large sizes, as well as a range of finishes, these suit many interior styles including contemporary and boho. Glass vases aren’t just for displaying fresh flowers – take a look below to see how great indoor plants look in a glass vase too. 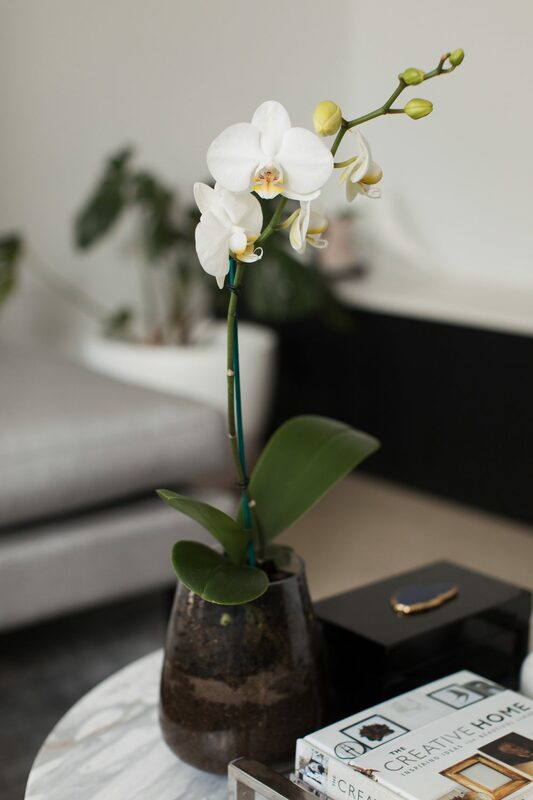 We suggest this option for when you want the plant to be the hero, such as a striking orchid. 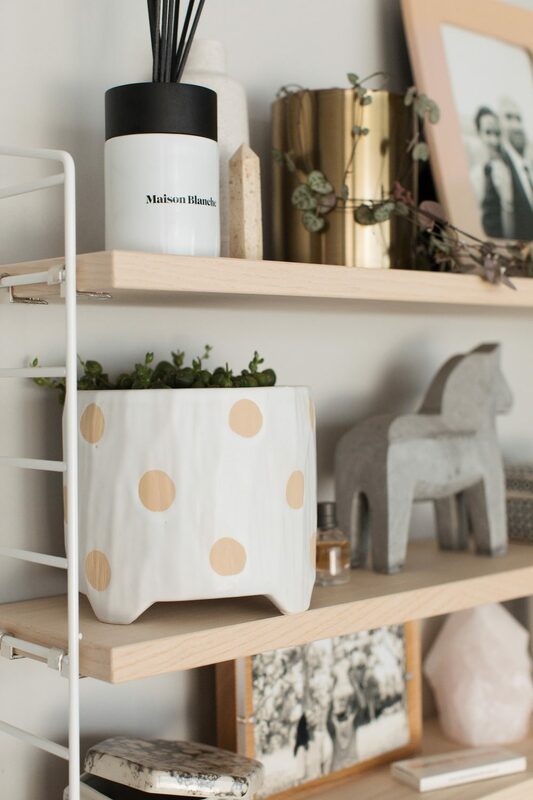 This large round brass look pot adds serious luxe vibes to our bookshelf styling without the price tag. You can also find metallic hanging planters – or hanging planters in a dozen other finishes, including cement, ceramic, or terrazzo. Hanging planters are a great way to use the vertical space of a room. If everything in your space is sitting on the floor, consider adding a hanging planter to draw the eye upwards and take in the larger space. 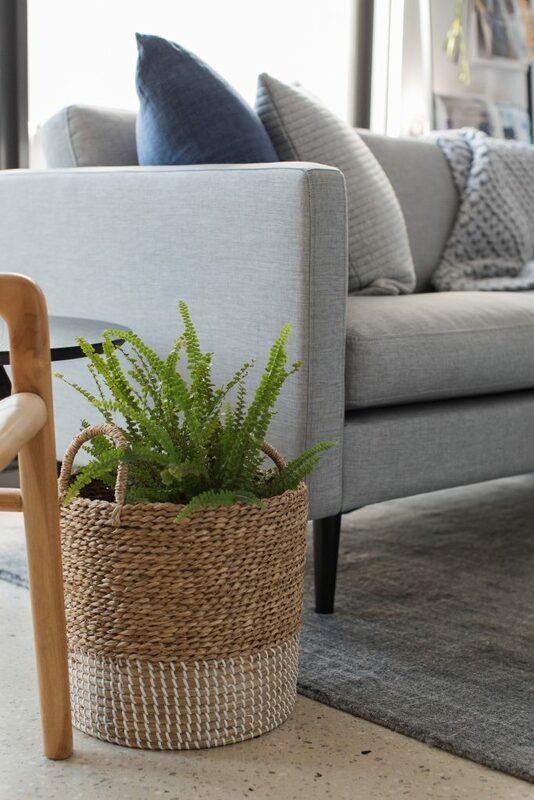 From rounded belly baskets to woven baskets (like the one from Adairs we’ve used below) and even felt baskets, there’s no shortage of ways people are using baskets to display their plants. Just be sure to add a plate or another dish inside to capture water that drains from your plant, as most baskets are not waterproof. Finally, we had to add a cement pot to the list. 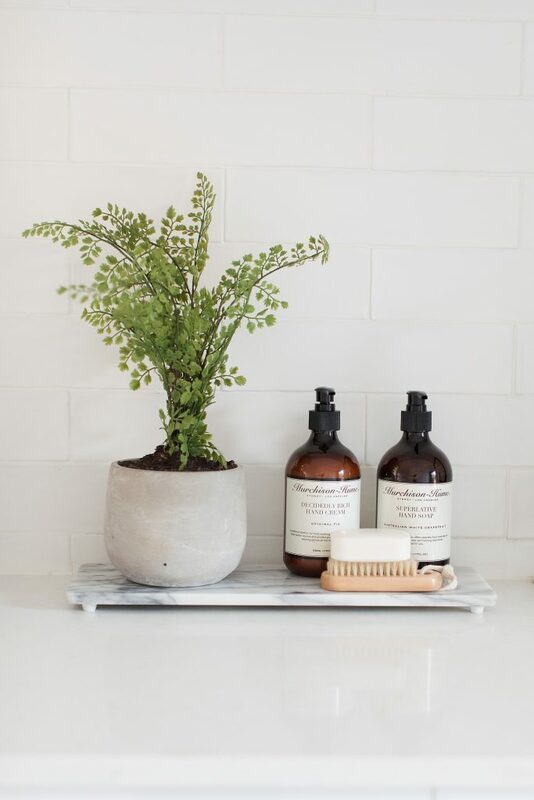 While cement décor was seriously overdone for a while, and some people were saying it’s ‘out’, we love the organic texture of cement which is still a stylish (and in our opinion, timeless) option. The trick to using cement décor is to pair it with other materials so it doesn’t look overdone. 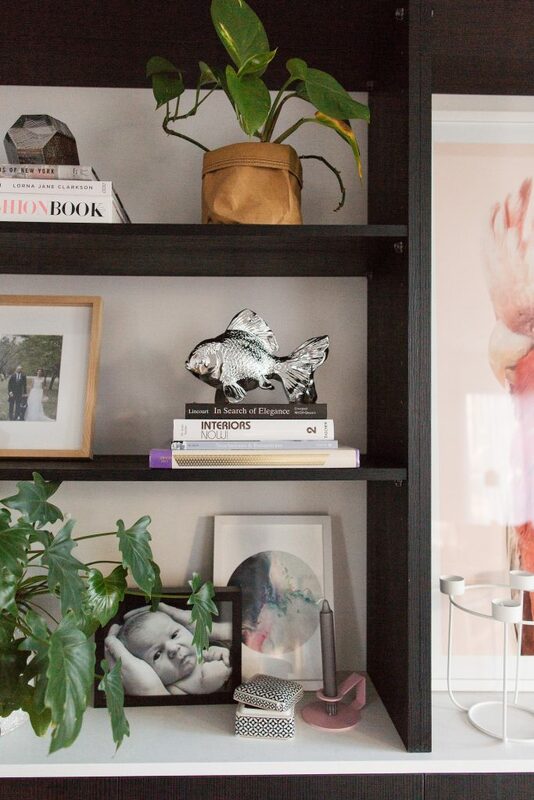 What’s your favourite way to display indoor plants? 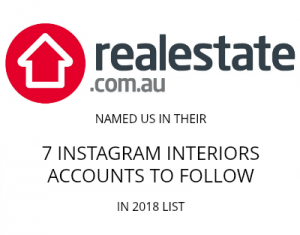 Tell us in the comments below or tag us and @canberraoutlet when you share photos online so we can see! 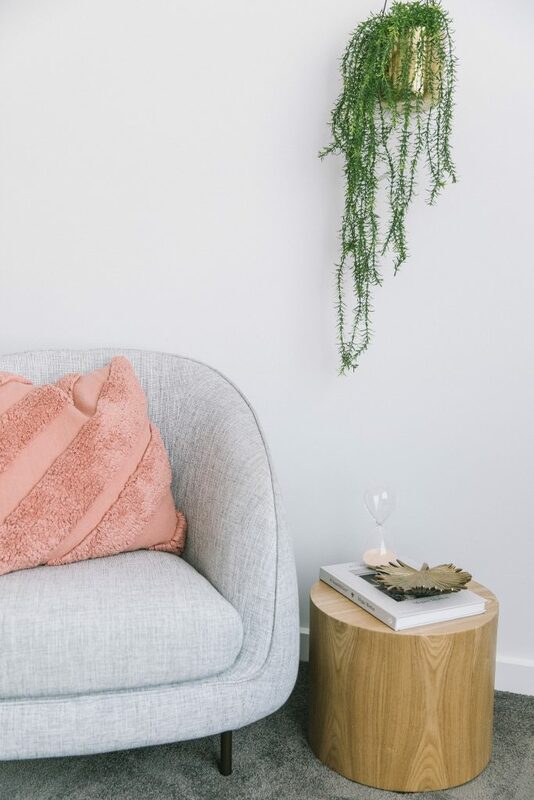 You might also like to check out this article with the top 10 trending indoor plants right now and tips on where to use them in your home.